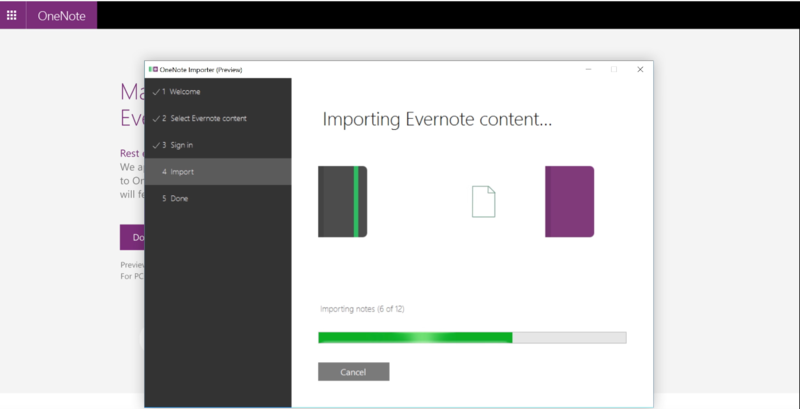 Microsoft announced a new tool to make it easy for Evernote users to import their notes into OneNote. Aptly named the OneNote Importer tool, it migrates all of your Evernote content into OneNote. “OneNote and Evernote are similar in many ways, but we think you’ll appreciate the advantages OneNote has to offer, including a free-form canvas where you can mix text, images, documents, handwriting, audio, video and more; free offline access; and unlimited monthly uploads,” Sharma adds. The tool is initially only available for Windows, but Microsoft says a Mac version will be offered in the coming months. You an download the Windows version here.